Over 750 Supporters Take Part In Our Biggest Ever Team Photo! 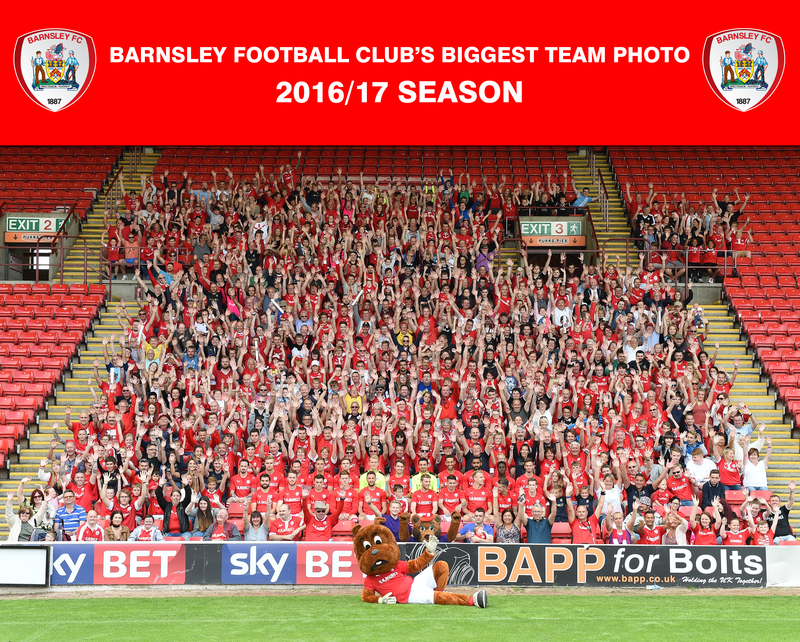 Reds fans smash the record for our Biggest Team Photo at Open Day! Our Biggest Team Photo was taken yesterday in the CK Beckett South Stand and the record was broken with over 750 fans taking part! 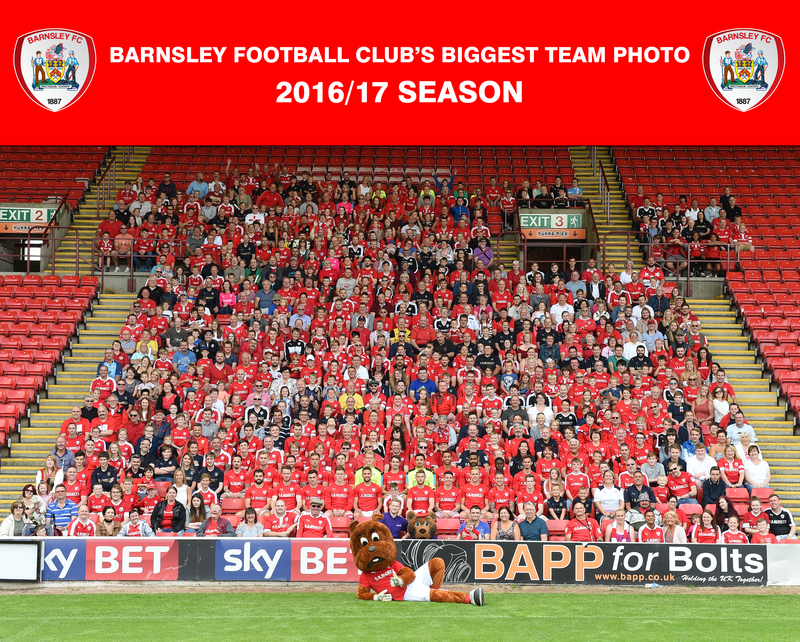 As part of our annual Open Day at Oakwell which attracted thousands of fans, 2016/17 Season Ticket holders were invited to sit alongside the entire first team squad for what was the Biggest Team Photo in our history! Fans can now download high resolution copies of the 2016 Biggest Team Photo by clicking on the links below. We would like to say a huge thank you to everyone who came along and took part in what was a fantastic day! Thank you for your incredible support and we look forward to seeing you back at Oakwell for our first home game of the 2016/17 season against Derby County on Saturday 13th August! Make sure you’re all set for the new Season with a 2016/17 Season Ticket! Get yours online by clicking here, from the BFC Box Office / Reds Superstore or call us on 01226 211 183.